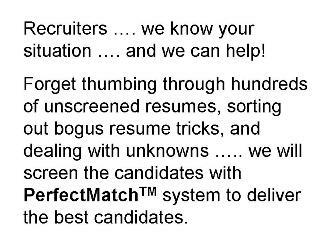 Our services for Employers, Recruiters, Job Seekers and experienced Professionals are supported by certified personnel to address their specific needs. There is a dedicated support team consisting of Facilitators to address Employers' and Recruiters’ needs. Certified Mentors and Coaches are available to help Job Seekers and Professionals get employment matching their desired goals. 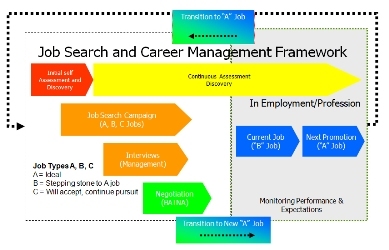 These services are provided on a advance secured web based platform to manage all activities throughout the Talent Acquisition, Job Search and Career Management process. 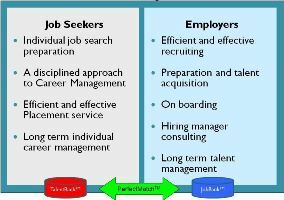 BayAreaJobLink has developed advance proprietary software, BayAreaJobLink differentiates it's services by providing a single place to manage Talent Acquisition, Job Search preparation and Career Management. In addition, dedicated Facilitators, Mentors, and Coaches are there to get guaranteed results faster and at an afordable cost.